One of the most fun things you can do for your house is decorating it. So we here at Craft Corners would like to show you what you can do to make sure your house is completely themed to the max so no one will question what time of year it is or any of your craft skills. 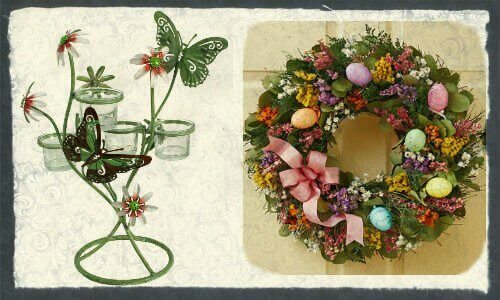 With spring here, what better way to decorate your house then with a plethora of spring items? Here’s a run-down of some quick buys that you can pick up to make sure you’re all set for any flowers blooming or bees buzzing around your house. Take a gander at the house now! I would be very surprised if anyone didn’t compliment, enjoy or bask in the glory of one of the best seasons of the year. Checking out other craft blogs is a great idea to see what others have done to make sure their house is completely done up the right way. One of my friends bought some adorable wicker baskets to spruce up the front porch along with a wooden bunny entrance and it made her home look wonderful. What do you think you’ll be doing to make sure your house is ready for spring?